The second most populous nation in the world, India has the second largest mobile market behind China. By March 2017, India was home to 1.17 billion mobile subscribers, up from 1.03 billion 12 months earlier and 969.89 million in March 2015. Despite this, cellular penetration is comparatively low at around 90 percent at Q1 2017. This is just under the typical 93 percent among countries with a similar per-capita GDP, but well below the regional average of 100 percent. TeleGeography’s GlobalComms Database now covers a whopping 225 markets. And some of our latest additions are small but mighty. Poland’s telecoms market is one of the largest in Europe. According to the country’s Office of Electronic Communications, it was worth a whopping PLN39.47 billion ($10.5 billion) in 2016. Here’s how the market is evolving in 2017. A Timeline: How Europe's Altice Made its Mark in the U.S. The recent sale of shares by Altice USA has brought the company firmly into the spotlight, with the $2.15 billion deal becoming the largest initial public offer (IPO) by a U.S. telco since AT&T Wireless shares hit the market in 2000. 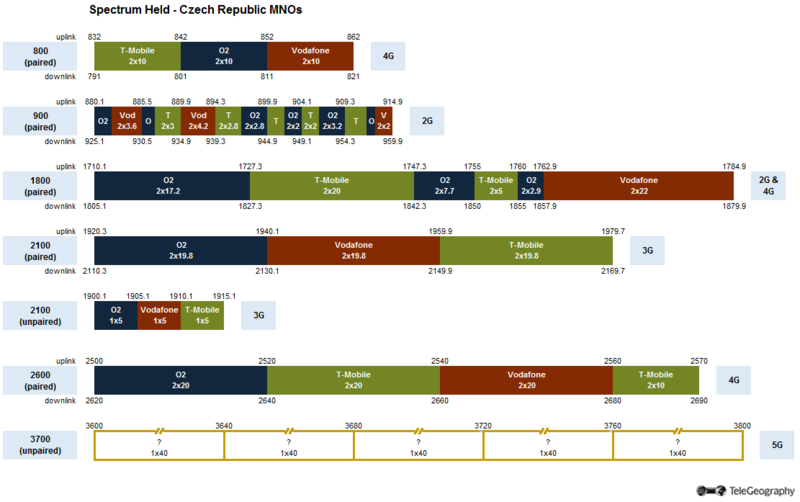 The Czech Republic is set to auction spectrum in the 3.7GHz band (3600MHz-3800MHz), which can be used for future 5G mobile services. At the end of 2016 there were 923 million fixed broadband subscribers globally. While facing competition from high speed mobile data services, growth rates have fallen from almost 40 percent in 2005 to 8 percent in 2016. However, there's room for expansion in the fixed sector. Verizon Communications has succeeded with its $3.1 billion takeover move for Straight Path Communications, giving it access to the potentially crucial 5G-suitable millimeter wave (mmWave) spectrum, including 28GHz and 39GHz licenses. Straight Path had been a target of AT&T, but Verizon came up with a much bigger offer. What does this mean for the future of 5G mobile services in the U.S.? Vietnamese mobile operator Viettel announced the commercial launch of its 4G LTE network, which boasts coverage for 95 percent of the population. U.S. cableco Comcast has announced that it’s entering the country’s MVNO sector with the launch of its Xfinity Mobile service, which piggybacks on the Verizon Wireless 4G LTE network and uses Xfinity’s 16 million Wi-Fi hotspots nationwide. Brexit Bruising: Will Break-up Bring Higher Mobile Fees? The recent move by the European Union to cap international mobile roaming charges is good news for end users across the EU. But will customers in the UK face higher bills when traveling after Brexit in 2019? Here’s how the move will impact mobile users.